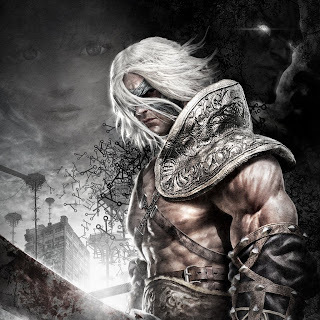 Nier is a game that should have been a success. Published by Square Enix you would think some level of marketing effort would be put behind this game, but there was hardly anything other than previews on gaming enthusiast sites. On top of that most (all) of the screen shots and video showed an ugly uninspired world of grey. I'm here to tell you, that you have been duped. 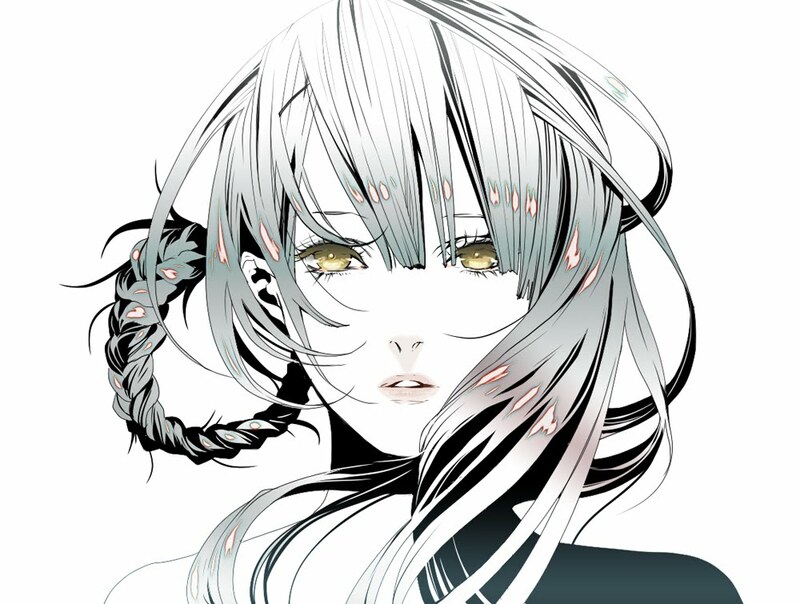 Nier is one of the finest action games I've played in the last five years. Not only that but, while the graphics aren't anything to write home about the world that has been created as well as the characters are unlike anything that usually comes out of Japan. What grabbed me instantly was the first 10 minutes of the game and story. If you can't capture my attention in 10 minutes, forget it, I'm not interested. This is why I can't get into a lot of modern RPGs. You are expected to watch 20 minutes of cut scenes of characters you don't know before you get to play them and then find out you don't want to play as them. Nier puts you in a modern day grocery story as some old bum fighting strange ghostlike bad guys. All you know is that the guy is pissed about some book, and that he is trying to protect is daughter in the next aisle. That's all the motivation I need. Then the game proceeds to level you up after almost every kill, and unlocking incredible powers so in that 10 minutes you feel like a god, laying waste to hordes of bad guys to protect your little girl. Then the screen goes black and the font on screen read: "1,312 years later". What we see now is a typical fantasy world setting with the main character looking a lot like the bum guy earlier except in barbarian gear. This isn't just some odd fantasy world on some unknown planet. This is the future of our planet. I realise this isn't a concept that is new to sci-fi, but for video games and Square Enix it is fairly unexplored territory. Where this really comes into play are in the games' dungeons. Although they are unique and fantasy architecture it is clear the buildings underneath are from our modern world. When buildings crumble you can see the iron rods holding the cement together. Metal buildings have old warning labels. 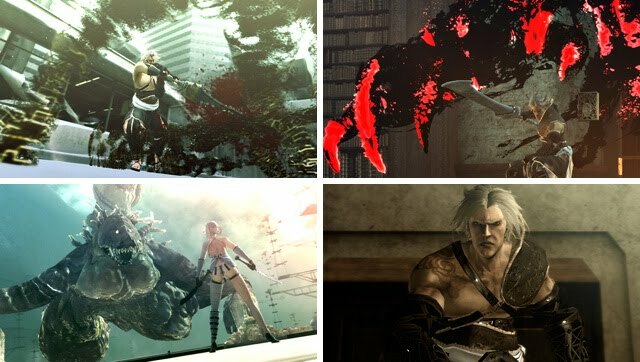 It's these touches that make the world of Nier so interesting. At first glance it seems typical fantasy, but on closer inspection, remnants of our world rest below the surface. But this isn't the only aspect that is interesting. The characters are vivid and full of life. 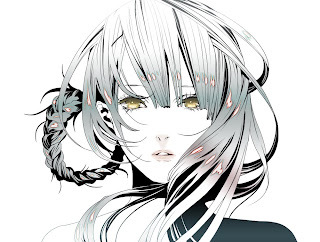 Nier, the protagonist, has the same motivation as his past "bum" self in that he is trying to protect his sick daughter. He is big and burly, and being a Square fantasy game you might expect him to be either a) self loathing and a jerk b) stoic and silent. He is neither. He is just an old nice guy looking out for his little girl. He helps out people in the village and cracks jokes and makes sarcastic comments. He is likable. Such a refreshing character from a company usually enthralled by stereotypes. But enough about setting and character, how does it play? Well the best way to describe it is fun. Nier is a badass and the game does an ample job making you feel like a badass. Mostly that first 10 minute intro sequence is enough to tell you, "hey when the actual game starts you will be weak but by the end, you will be this awesome". So when it goes into the fantasy world Nier is weak and can only swing a sword, but soon he finds a magic book and in rapid succession his magic powers develop and has you pulling black lances from thin air and hurling them at monsters the size of buildings. And one of the magic powers has you fighting off swarms of baddies like a twin stick shooter, circling the battlefield with one stick and shooting with the other. This is where the game shines and gives you that feeling that as soon as you turn off your console you want to turn it back on and kill some more. However, the game suffers from two flaws that drive me crazy in these types of games. First of all there is no way to lock onto who you are fighting. I understand this is a choice as it makes the game more challenging. But sometimes my magic shot just go into the ground for no reason, which would be alleviated by a lock-on device. Secondly, and this one is more serious in that it can be frustrating enough to make you throw your controller. Nier takes a long time to stand up after being knocked down. And during that time he can still be hit, resulting in being at the receiving end of a LOT of cheap shots. Blocking is almost completely useless in this game as well as he still stumbles after getting his from a blocked shot, and a guy behind you will take advantage and hit you, knocking you down and then kicking you while being knocked down. Very frustrating. Fans of Ninja Gaiden will be a little better off because they know the secret to a good offense is rolling... all the time. 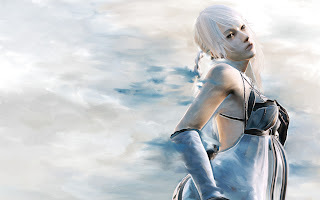 And if you come to this blog frequently, you probably know I make no qualms of being a fan of beautiful fictional women, and the female protagonist of Nier is no exception: Kaine. She is a hermaphrodite. She's smoking hot. I highly recommend picking up Nier, in many ways it feels like the Final Fantasy XIII that should have been.